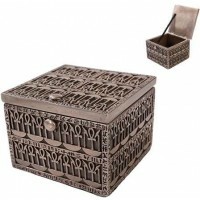 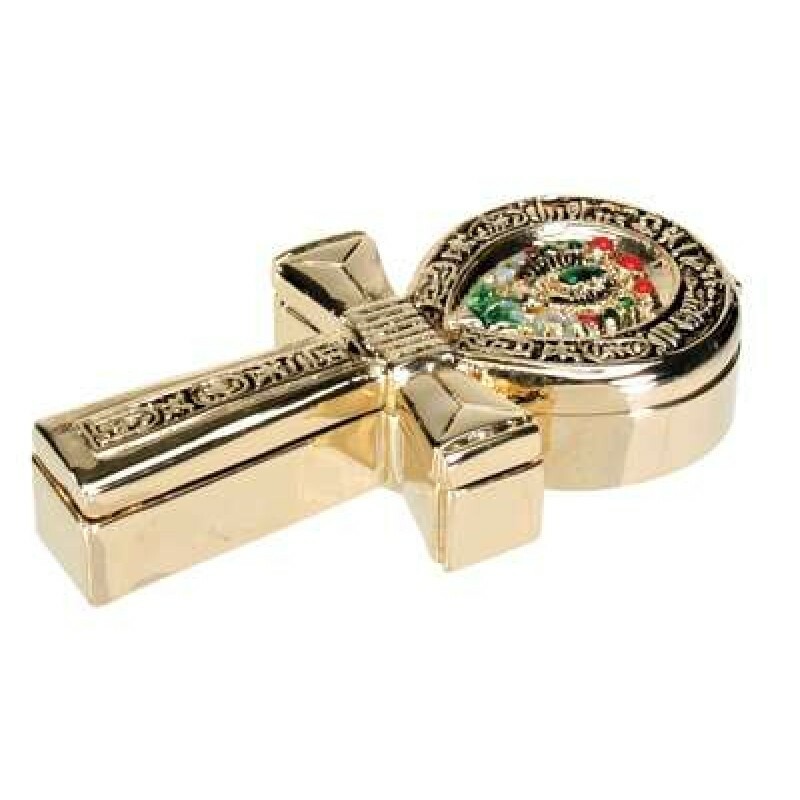 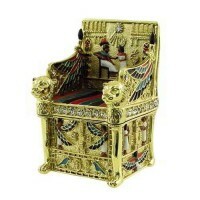 This amazing jeweled box is gold plated pewter set with Austrian crystals. 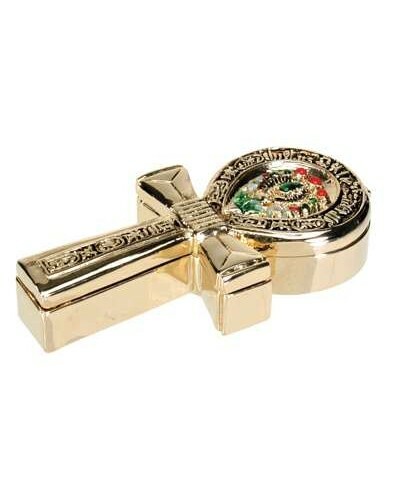 It is 1 1/2 inches wide and 2 3/4 inches long. Item Number: YT-7532 | Approximate Size (Inches): 2.75 wide x 1.50 deep x 1.00 high | Approximate Shipping Weight: 1.00 lbs.